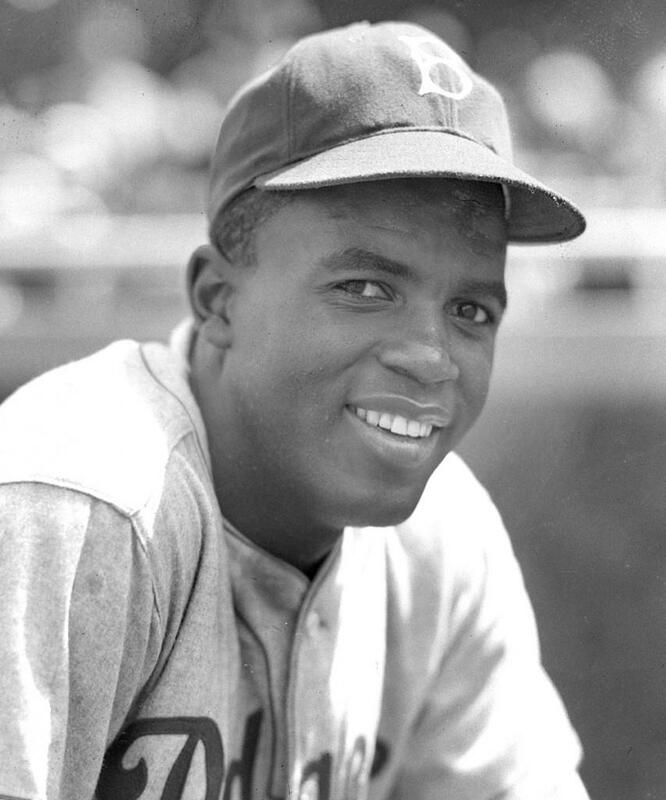 Jackie Robinson was the first athlete in the history of UCLA to letter in four varsity sports: baseball, basketball, football, and track. As a boy Ed Charles idolized Jackie Robinson and drew inspiration in watching Jackie break baseball’s color barrier. Here Charles reflects on Robinson’s impact on a personal level and on a national level. 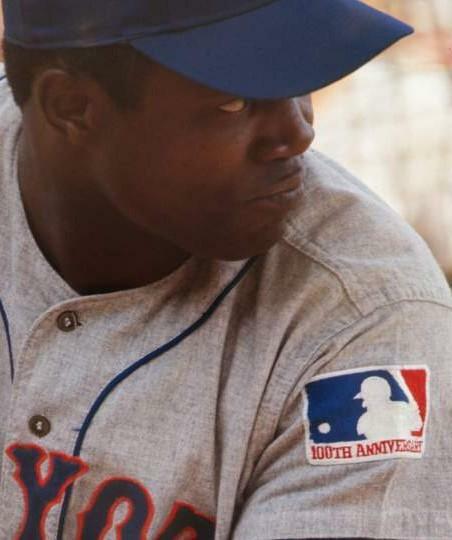 In the Robinson biopic “42”, a little boy played the part of Charles in his youth. In the movie’s epilogue, Jackie’s impact on Charles is detailed. 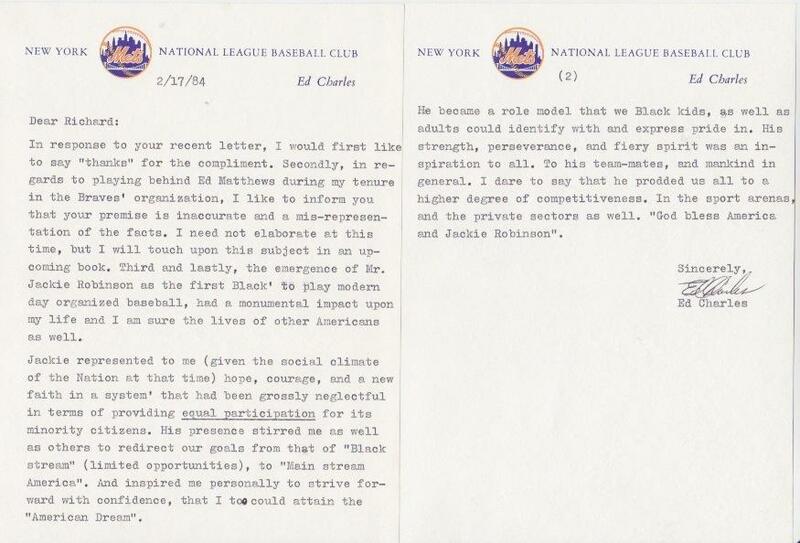 Reading the letter lends insight into just how important Jackie Robinson was to a nation that still struggles in race relations. 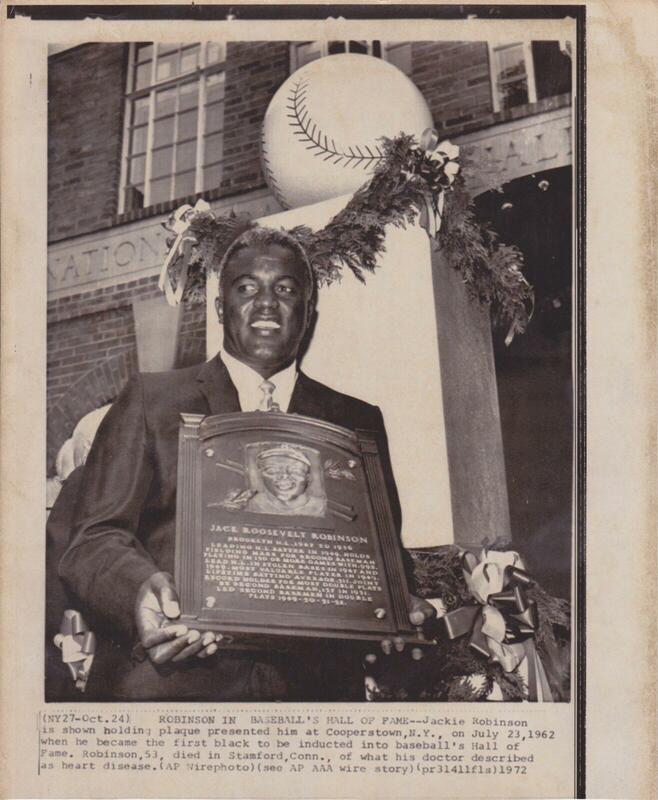 The image shows Jackie holding his Hall of Fame plaque at Cooperstown on July 23, 1962 when he was the first black or African American inducted. 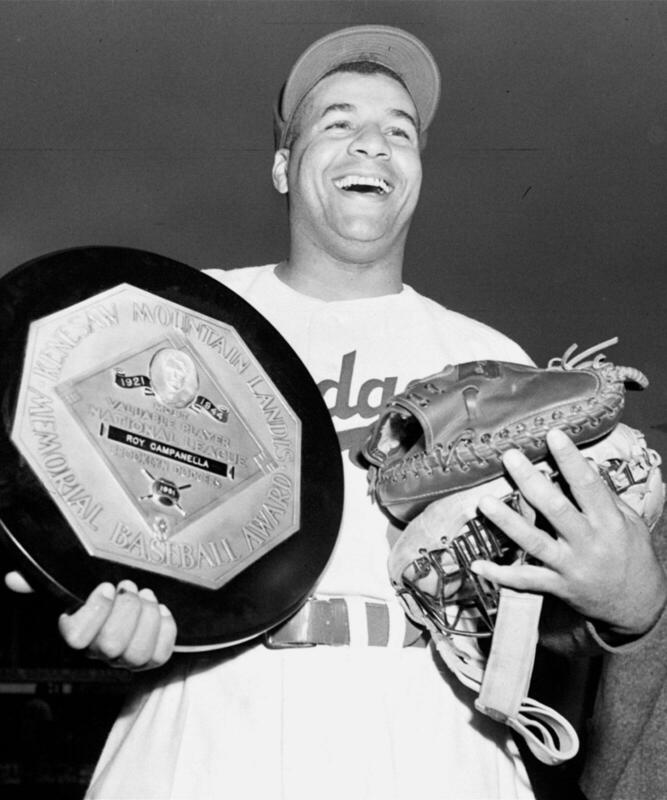 Robinson provided inspiration to many, far surpassing the realm of baseball. 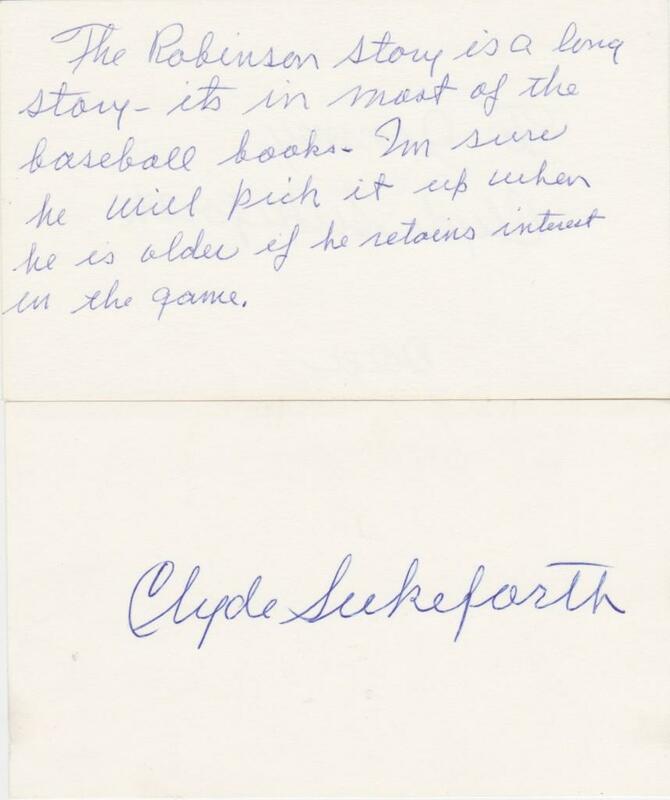 Clyde Sukeforth was a big league catcher who became a scout for the Brooklyn Dodgers. 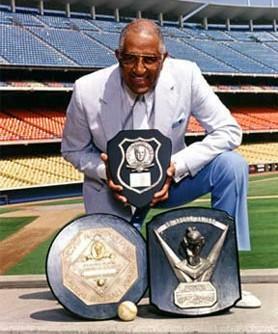 It was in that capacity that Sukeforth helped bring Jackie Robinson and Don Newcombe into the major leagues. In 1945 Dodger GM Branch Rickey sent Sukeforth to Chicago to scout Robinson who was playing for the Kansas City Monarchs. 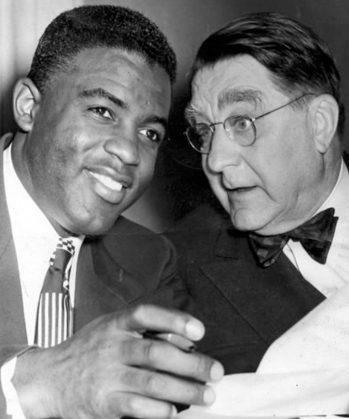 Sukeforth later arranged a meeting between Robinson and Rickey. 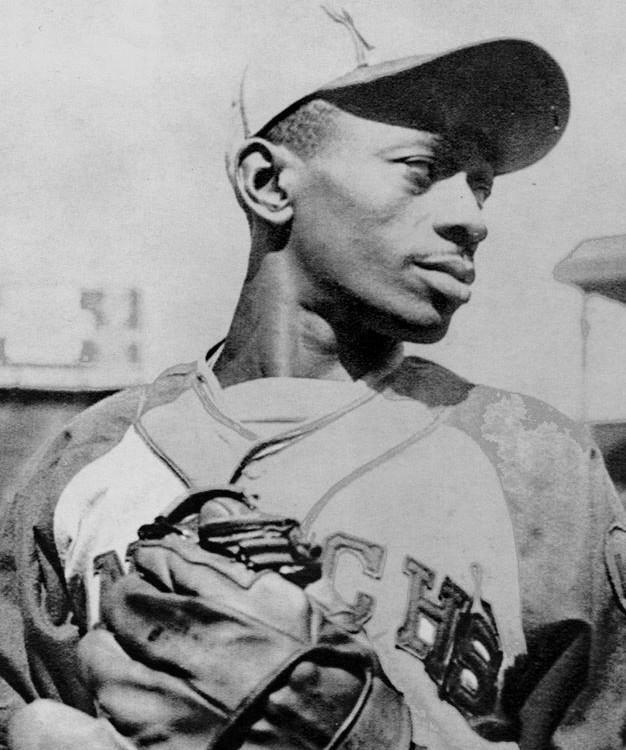 Two years later, Robinson broke baseball’s color barrier. 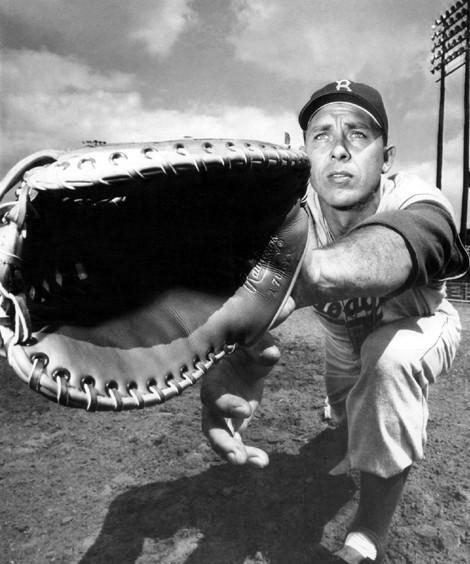 When Dodger manager Leo Durocher was suspended before the 1947 season, Sukeforth managed the club for two games, including Robinson’s historic season opener on April 15th. After retiring from the game, Jackie Robinson stayed in New York for a number of years. His presence ranged from helping the common man in the community to working for Governor Rockefeller during the Civil Rights era. 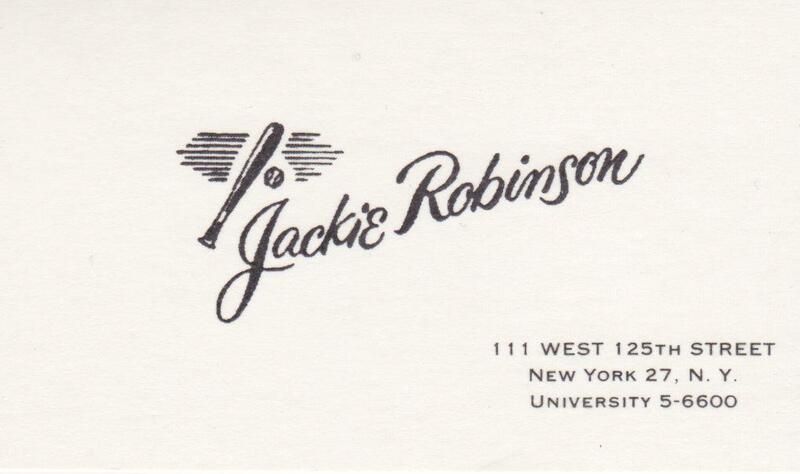 In the collection is Robinson’s personal business card from that era. 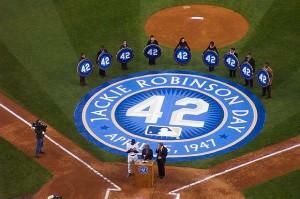 Jackie Robinson’s illustrious career came to an end on September 30, 1956. That day Robinson came to bat for the last time against the Pirates’ Bob Friend. An All Star for the first time that season, Friend led the National League in games started, innings pitched, and batters faced. 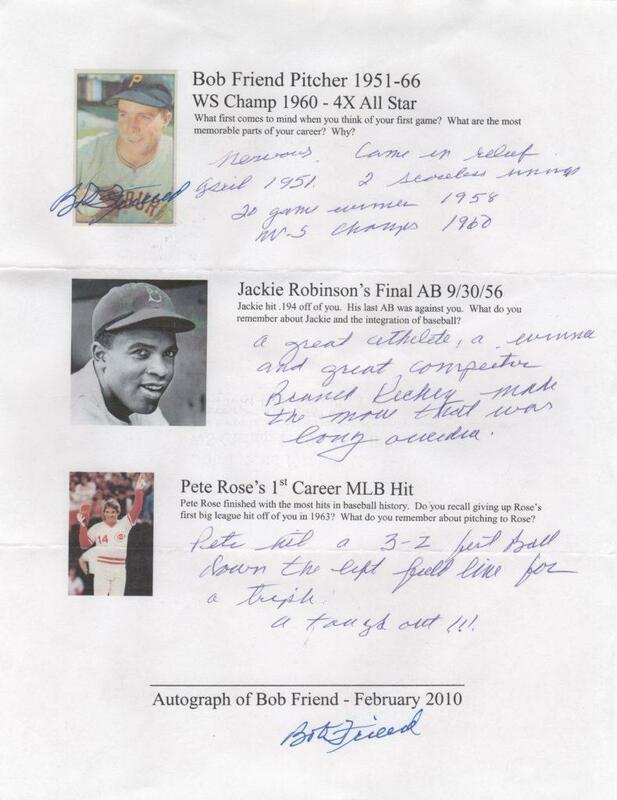 In the collection is a questionnaire filled out and autographed by Friend. Interestingly, Friend also gave up the first big league hit for Pete Rose. Where has this information been all of these years? I love it to the moon and back. 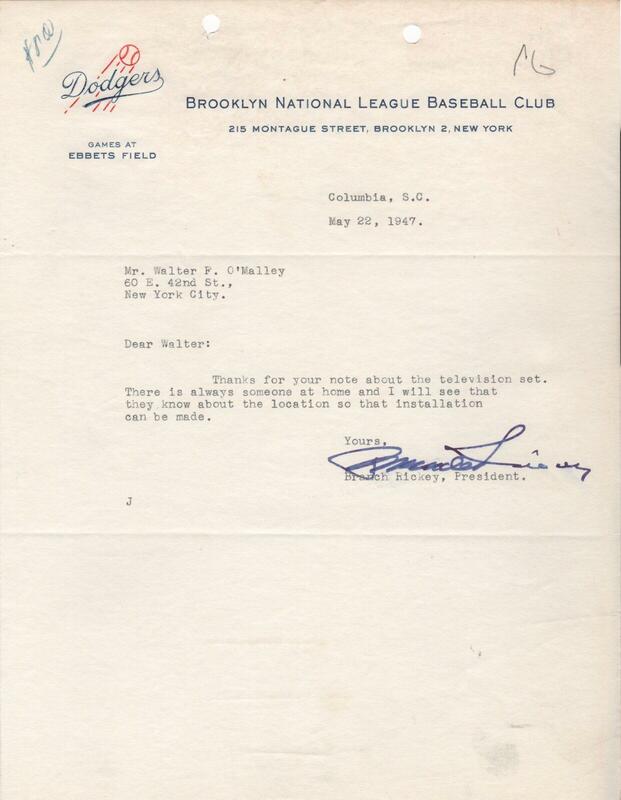 The Brooklyn Dodgers has been my favorite team for years. In 1958 the went West and they still remain my favorite team! Glad you’re enjoying it, Aaron! We love the Dodgers! !